Pokemon Go’s December Community Day will last a weekend and feature all of 2018’s event Pokémon and accompanying special moves. Pokemon Go also expanded the Pokémon storage limit to 2,000. Legendary Pokémon Cresselia will show up in Raid Battles for over half of December. With a little over a month until the end of 2018, Niantic Labs announced Pokémon Go’s December Community Day. Appropriately enough, next month’s Community Day will feature every Pokémon featured in previous Community Days. When you evolve most of these Pokémon, their charge attacks will be their respective special moves. Pikachu, meanwhile, can use Surf from the get-go without having to evolve to Raichu. On a side note, it will be good to stock up on as many Eevees as possible due to Glaceon and Leafeon possibly appearing in Pokémon Go in the near future. 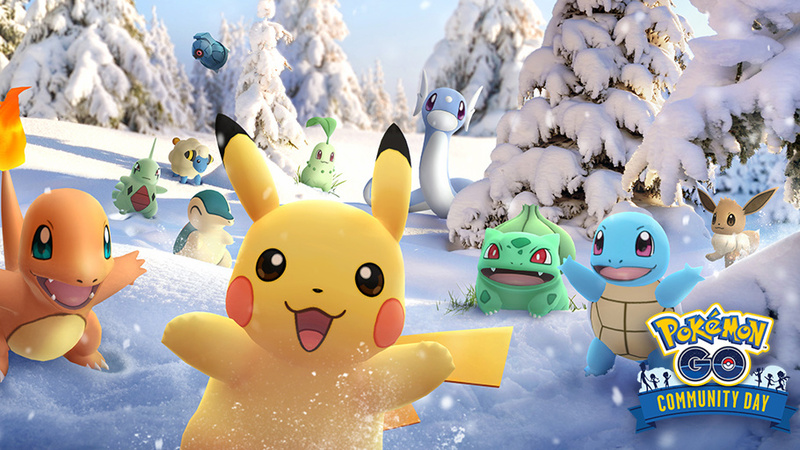 In addition to the event Pokemon, the December Community Day will include special bonuses like double catch XP, double catch Stardust, and double incubator effectiveness. The bonuses will be available December 1 from 11:00AM to 2:00PM PST. In related news, Pokémon Go increased the limit of Pokémon storage to 2,000. Finally, Psychic-type legendary Pokémon Cresselia from the Sinnoh region will appear in Raid Battles from now to December 18 at 1:00PM PST.